Firefighters continued to wrap up work on a small brush fire that started late Sunday afternoon near the Valencia Commerce Center, Los Angeles County Fire Department officials said Monday afternoon. “We’ve stopped the forward progress at between 15 and 20 acres, and it remains 75 percent contained,” Inspector Sal Alvarado said. The two-alarm fire was first reported near Henry Mayo Drive and Commerce Center Drive about 5:27 p.m. Sunday. 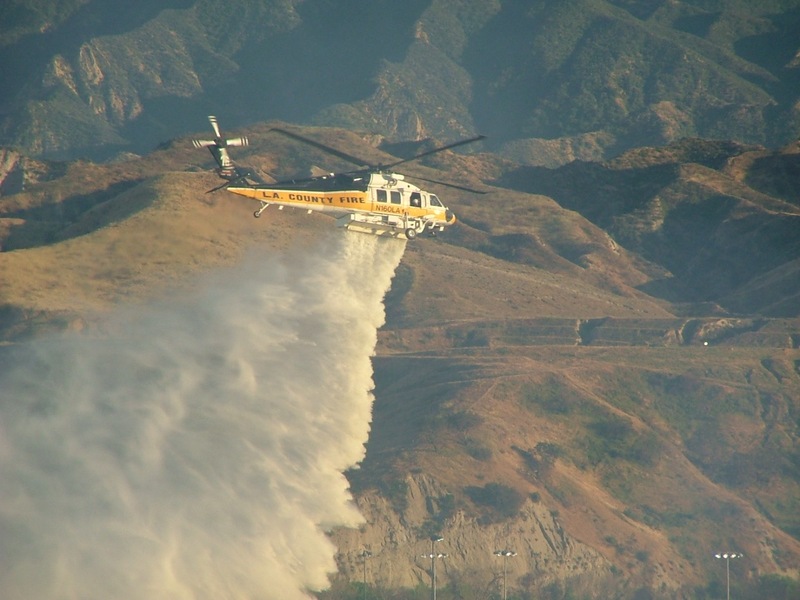 LA County Fire, California Highway Patrol, Santa Clarita Valley Sheriff Station and AMR Ambulance units responded. At its height, the “Commerce Incident” had 200 firefighters assigned with ground and air resources. Firefighters had the blaze 75 percent contained as of 7 p.m.
LACoFD units stayed at the scene throughout the night and Monday morning watching for hotspots. No structures damaged, no injuries reported.